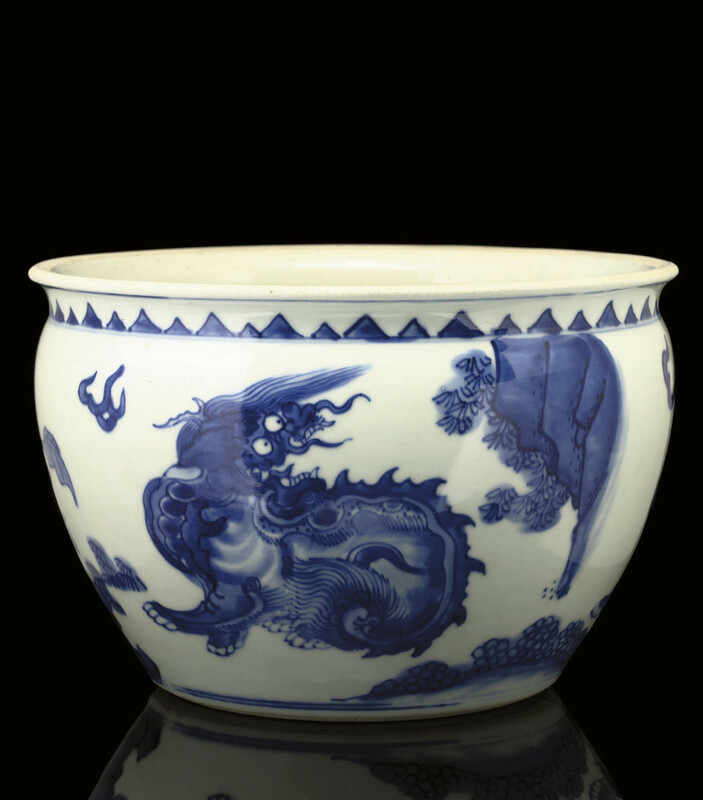 decorated in underglaze blue with two Qilins in a rocky landscape with plantain leaves beneath a full moon -- 9in. (23cm.) diam.